TWO years of junior parkruns in Bognor Regis were celebrated on Sunday. 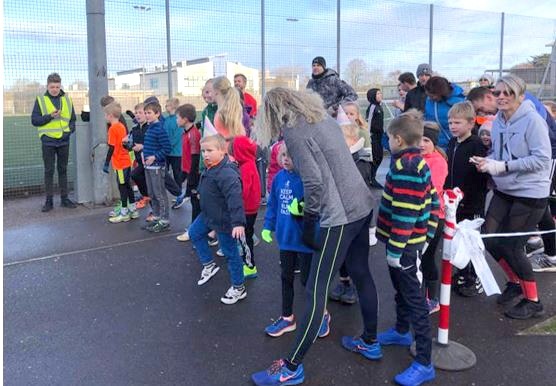 A total of 33 young runners, aged four to14, pictured above on the starting line, took part in the milestone event on a 2km course on the Arena Sports Centre’s playing fields. Music provided by Andrew Miles and Carl Bryant, party hats, badges and balloons worn by the runners and plenty of cake gave the event a party atmosphere. One of the organisers, Martin Searle, said: “It was great to see a few new faces join in with the celebrations and running. The past two years have seen nearly 1,000 runners cover a total of 8,748km – a greater distance than the height of Mount Everest.